First, it carries out an investigation of the area, it analyzes the legal issues, the environmental impact, the possibilities of the area being rich in organic matter. Let’s just say, it prepares the ground for the first surveys by analyzing the context. Secondly the company begins an experiment: it sends ships to propel compressed air bubbles up to 7,000 meters deep. Through sonar, it is able to create a map of the rocky surface and the shape of the sea floor. Once the signals create the expected map (verification of the initial hypothesis), the drilling phase (second experiment), where kilometers are drilled until the first gases appear, takes place. The first hydrocarbons would certify that there is actually oil . Finally everything is prepared to properly extract the oil and give way to its commercial exploitation. Establishment of the initial hypothesis. 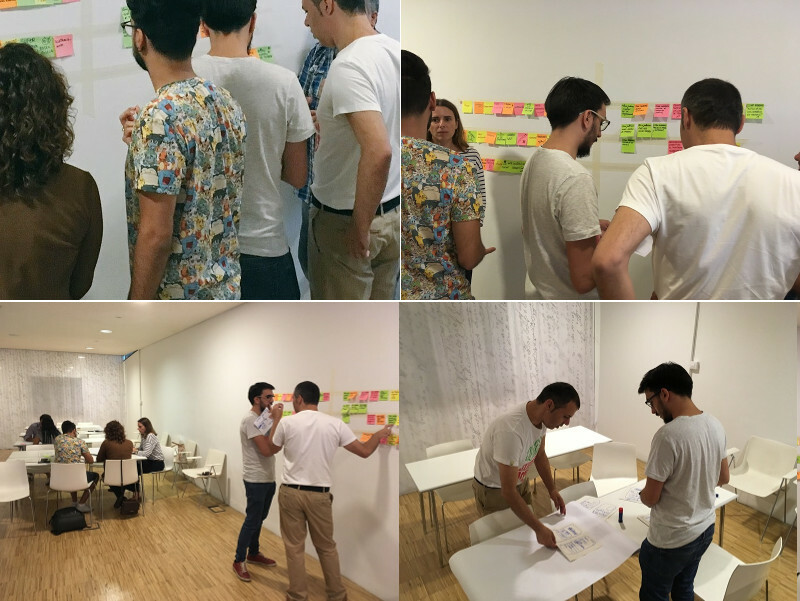 Documentation and analysis of the context in which the action is to be developed (product). Performing a first experiment (Research through air and sound). We establish a product hypothesis. We document the problem and analyze similar business ideas. We performed the first experiments with the idea of ​​verifying the hypothesis. If the experiments are positive, we go to the development phase. We develop the product and we scale up to grow and maintain the product in the market. Starting a project is always trying to give an answer to a business hypothesis. If we create such and such product (or application) we can position ourselves in such and such market. We will meet this segment. In this case we start our project with a business hypothesis, which implies a product hypothesis. The relationship is complex and there are too many answers to find. In design terms we speak of diffuse goals. How can we verify that our business hypothesis is correct if our product is not well defined or our product hypothesis has not been verified? We can only arrive at a possible result by responding to the two hypotheses in order. The user experience as a product hypothesis verification system. 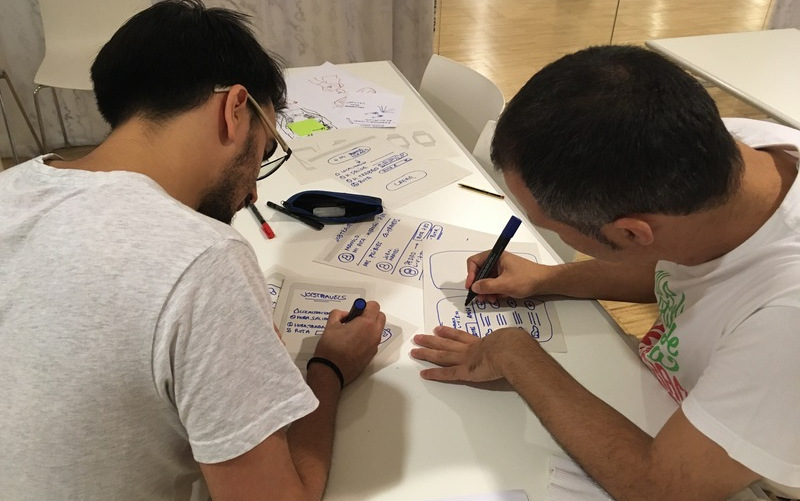 Experienced designers add value to a product as they are able to define a product that, in addition to being well designed, achieves business hypotheses. An interaction designer defines a product based on the analysis of the user (understood as consumer of the product) Therefore, the design is already thinking about the final consumer and success in the market. Now, does the user experience guarantee the success of the business? If so … Which UX methods are able to bring us closer to success? Is creating a well designed product enough to achieve business success? 2. Read, UX and other issues. The methodology followed by the oil companies, as we saw at the beginning, follows a process of verification of hypotheses through experiments that are closer to reality before drilling the soil. It is a process of investigation by phases, in which each phase brings us closer to or away from the objective. Hypothesis> Product experiment> Data / knowledge (Check hypothesis?) If not verify …. Changing hypotheses> Product experiment> Data / knowledge (Do we get positive data?) Then we must continue to perform product experiments until the results come closer to the verification of our hypothesis. 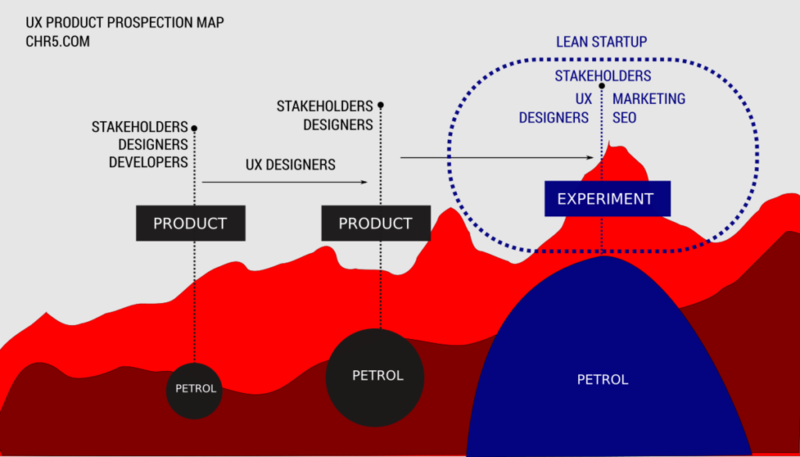 As is seen, the LEAN UX proposal does not talk about developing products. It talks about performing experiments (creating mini-products) that serve to verify the initial hypotheses. This process, through repetition and use of economic models, uncovers the true nature of the product. A product in the sense that it helps us CREATE THE RIGHT HYPOTHESIS or verify the hypothesis raised using the minimum possible expenditure. In this phase the development is minimal, the research work is maximal. 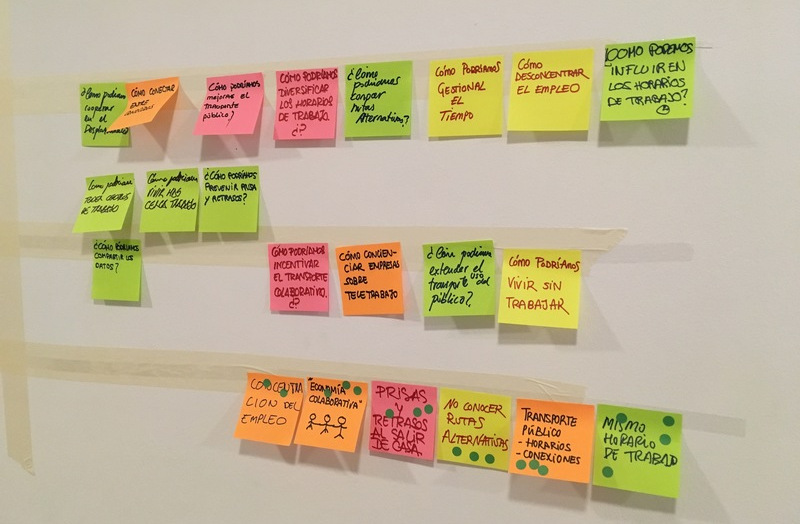 In a process of verification of hypotheses, it is necessary to work with design thinking techniques, to be well documented, to take into account the stakeholders’ vision – but only through analysis of the market can the hypothesis be verified. Many companies anchored in the product development cascade system do not just understand that product innovation requires different processes when it comes to tackling the problem of creating a successful new product. 1. On the one hand creating products that necessarily start from a design based on adequate experience. 2. Research / verification of business hypothesis that can be repeated until it reaches an optimum result that guarantees commercial success of the product. All this must be done using processes of great initial collaboration, processes based on data and having designers able to test and discover the true nature of the product before it is developed. We tackled this problem over three hours using Design Thinking techniques, wireframe processes, and agile testing based in Lean UX. Next I will summarise the steps we took before reaching a solution. The first thing we did was to conduct a collective brainstorming, where each one had to write a post-it idea, comment on its content out loud, and stick it on the wall. We had to be in synthesis, and address various aspects related to the given problem. Once we had brought together a few issues related to the problem, we began to group the various issues that emerged in the first phase of brainstorming – aspects related to driving, traffic jams, micro-timings, and driving stress. All related to the driving experience and linked to the given topic. The third step was to convert the selected objects into verbalised “sentences” as possible problems to be solved. How could we organise our time better when going to work? How could we bring the work closer to the worker? How could we make better use of public transport? How could drivers take advantage of the time spent in their vehicles? How can we inform drivers of traffic forecasts? All of these questions would be present to help us begin developing our future products. There were about 12 people attending, so David divided us into four groups of 3 people. Once we had the questions, we started to build the answers. We were organized into groups of three people, and each group began to discuss a proposal that would try to cover at least a couple of the “Problems” raised in the creative process. Once the proposal was debated we began to shape it through paper prototypes. 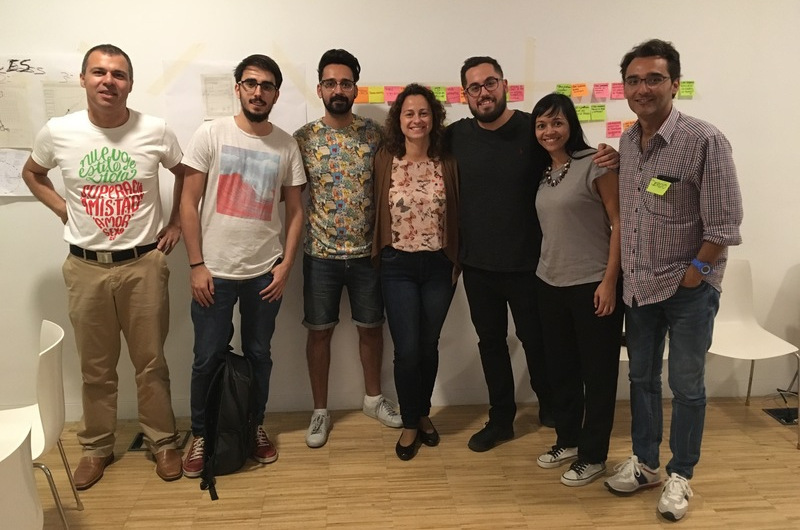 Once we arrived at the first prototypes, we had time to show our solution to the other groups and obtain feedback and propositions for improvements to our initial idea, using our prototypes. A first tryout resulted in giving us an improved product. Finally we presented our proposal: We would create a community of people motivated to share small micro-buses, that would be agreed through a web application, who would receive discounts for using the micro-buses. These micro-buses would pick them up at home and leave them in similar areas. In this way we could reduce part of the traffic congestion without giving up the comfort offered by the car. This same application would offer the possibility of arranging for people to travel together in case the micro-bus service could not meet the needs of these people. It has been a tremendously rewarding experience. We have learned a lot and we have ended up feeling that all the effort has paid off thanks to the creative solutions achieved through the Design Thinking process. Thanks, David! !